soon-to-be teacher, Abira. I especially enjoy prop (sword, cane, etc.) and floor work. 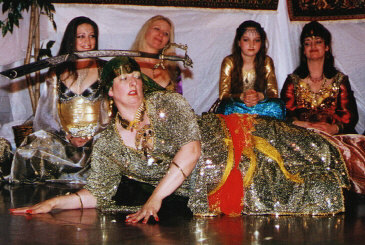 Belly dancing has given me movement, rhythm, and a sense of purpose." "I love the way Kahaz dances with the sword: proud, in complete control, yet playful and relaxed."